Meet Detective Charlotte Justice, a black woman in the very white, very male, and sometimes very racist LAPD. The time is 48 hours into the LA riots, and she and her fellow officers are exhausted. She saves curfew-breaking black doctor Lance Mitchell from a potentially lethal beating from some white officers -- only to discover nearby the body of one-time radical Cinque Lewis, the thug who years before had murdered her husband and young daughter. Was it a random shooting or was Mitchell responsible? And what brought Lewis back to a city he'd long since fled? Charlotte's quest for the truth behind Cinque's death will set her at odds with the LAPD's hierarchy, plunge her into the intricacies of LA's gang-banging politics to its black elite, and lead her into deep emotional waters with Mitchell's partner (and her old flame) Dr. Aubrey Scott. 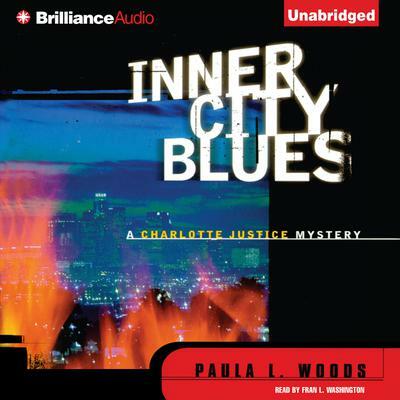 Paula L. Woods has created a tough, tart, and totally original heroine -- and is sure to draw comparisons to the writing of Walter Mosley, Sue Grafton, and Michael Connelly.